The RSU 39 Board of Education on Feb. 6 discussed the Maine Department of Education’s standards on chronic absenteeism and truancy as well as methods to keep students in school. 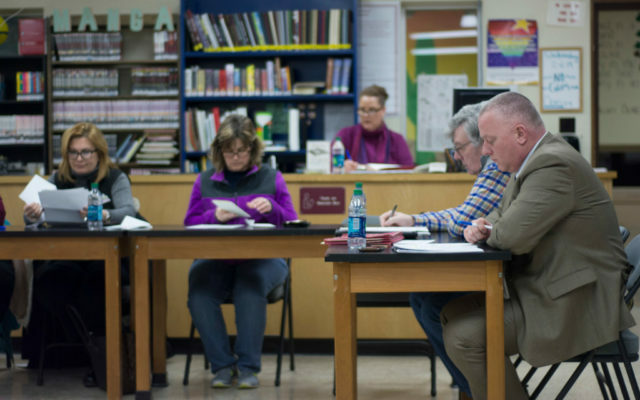 CARIBOU, Maine — The RSU 39 Board of Education on Feb. 6 discussed the Maine Department of Education’s standards on chronic absenteeism and truancy as well as methods to keep students in school. During the board’s regular meeting, Superintendent Tim Doak said the Maine Department of Education has become more strict in regards to these policies and are now collecting data for chronic absenteeism, or when a student is enrolled for a minimum of 10 days and absent for 10 percent or more of the days they were enrolled. According to a release on the Maine Department of Education website published in 2018, the department began collecting chronic absentee information for the 2016/17 school year in education facilities throughout the state. Doak said that while some students in RSU 39 and statewide have gone to court for truancy, he’s not sure if this method of enforcement is effective, adding that he’s encountered situations within the district where parents and students have told him they would rather just pay a fine than continue attending. Despite this, Doak and school officials are continually exploring different methods of reducing chronic absences and truancy. In a recent meeting with administrators, Doak said they discussed methods of transitioning a student back into school after a significantly long absence. Doak added RSU 39’s school resource officer and home/school coordinator are working together to reduce truancy and encourage students to continue attending school. Many board members questioned whether excused absences count toward the statistics that MDOE collects and then makes publicly available. Board Chair Tanya Sleeper said chronic medical issues, for example, may prevent some children from attending every day. Doak said students excused to work extra days during potato harvest are also reported as regular absences to the MDOE. Sleeper suggested isolating the number of excused absences when reporting to add more context when the Maine DOE’s numbers are reported. On Jan. 15, RSU 39 reported to the DOE that 31 out of 468, or 6.62 percent, of Caribou High School students were chronically absent. For Caribou Middle School, the number is 18 out of 424, or 4.25 percent. Limestone Community School showed 5 out of 181, or 4.24 percent, and Teague Park is 11 out of 315, or 3.49 percent. For truancy, Caribou High School reported 13 out of 468, or 2.78 percent. Limestone Community School reported one out of 181, or .55 percent. Caribou Middle School reported two out of 424, or .47 percent, and that one of their students has been reported to DHHS for their lack of attendance and will be going to court for truancy. Doak said that he will share another report with the board in May, so there are no surprises at the end of the school year. The superintendent said he was concerned that the reporting method may be inconsistent, as some may be counting the early departure of a soccer or basketball team as an absence while other schools may not. Board member Betheny Anderson said that, in South Portland, the superintendent sends out a van to pick up students who miss the bus, and suggested that something similar could be implemented locally. Sleeper agreed, adding that Sitel, a local business in Caribou, sends out a van to pick up employees who can’t find a way to work.